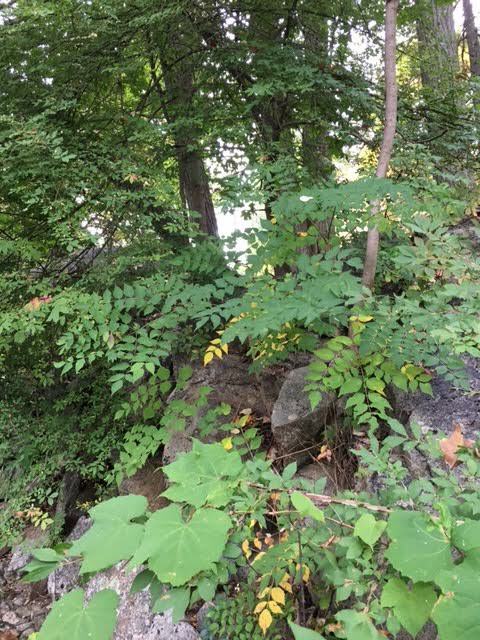 Suggested native/lakeside/riparian shrubs and trees compiled especially for Tuxedo Park. 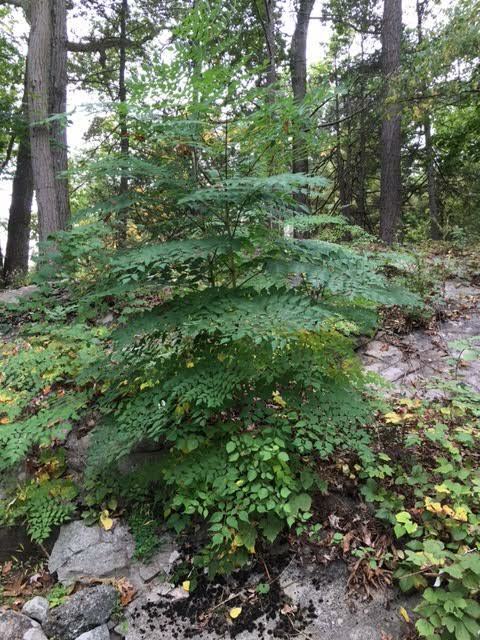 Plant Native provides a list of trees suitable for growing in our area. The Lady Bird Johnson Wildflower Center-The University of Texas at Austin website also offers extensive information on native trees and plants suitable for New York State. According to Cornell University “Gardening Resources”, native plants are favored for the following reasons: lower maintenance, regional uniqueness, biological diversity and suitability as wildlife habitat. Additionally, it is important to consider whether the plant is appropriate for the site: is the space, microclimate, soil type, soil hydrology and insect populations appropriate for the plant? For more information on tree selection and placement, visit treesaregood.com. The Village of Tuxedo Park is a proud member of Lower Hudson Partnership for Regional Invasive Species Management (LH PRISM). Lawn and other fertilizers containing phosphorus are banned by law in Tuxedo Park. Read more. Oak tree killing disease found in Brooklyn and Long Island: help prevent it from coming to Tuxedo Park by not pruning your oak trees until winter. Read more. Removal method: unfortunately, targeted basal bark application of the herbicide Pathfinder II before August (when the seeds start spreading) is the only solution. For safety reasons, the treatment is best performed by a licensed professional. NEVER CUT THIS TREE because it will encourage rapid new growth via the root system. *An invasive species threatens the environment by out-competing native plants, resulting in a monoculture that does not attract native insects and birds. Removal method: hand pull, then cover with geotextile fabric, weighed down by logs, for up to a year to stifle new growth. Placing cut timber on the ground in a pleasing pattern also slows storm water runoff, provides a habitat for animals, insects and birds, and puts nutrients back into the soil as the wood disintegrates. Removal method: unfortunately, targeted foliar application of the herbicide Pathfinder II before August (when the seeds start spreading) is the only solution. For safety reasons, the treatment is best performed by a licensed professional. + The “good looking” grass, Miscanthus, is in fact a pernicious invasive species! This grass, which occupies an extensive area of the Race Track Nature Preserve, is in fact an aggressive invasive plant. It will be removed in stages – by mowing over several seasons, beginning summer 2017. When the area is cleared of this invasive plant, it will be replanted with native grasses and flowers. An invasive species threatens the environment by out-competing native plants, resulting in a monoculture that does not attract native insects and birds. Why should you avoid raking your leaves? + To help safeguard New York’s forest from growing threat posed by firewood infested with invasive insects and/or diseases, a State regulation is now in effect. Prohibits the movement of untreated firewood within New York more than 50 miles from its source. Burn all firewood brought to a camp ground.